The CO₂ concentrations inside rooms or areas can have an influence on human well-being, as well as on stored products and goods. It is all the more important to have detailed measurement available, so as to be able to respond quickly if the values move in the wrong direction. The use of a data logger for CO₂ enables CO₂ recording to be carried out. The design of data loggers for measuring gas concentrations allows the data to be displayed and analyzed. 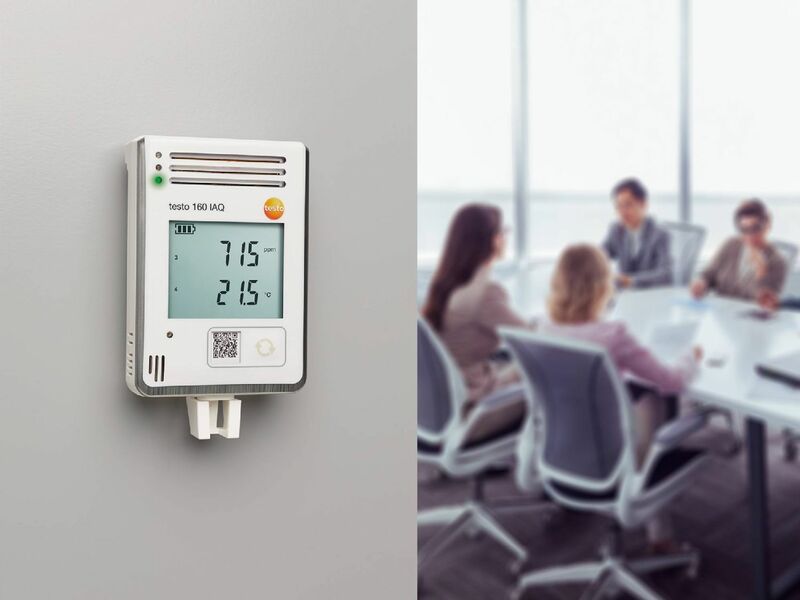 Testo Whitepaper "CO₂ monitoring and indoor air quality"
For CO₂, temperature, humidity, and atmospheric pressure. Art is demanding and Visitors also want to feel comfortable. Poor indoor air quality leads to tiredness and lack of concentration. The CO₂ concentration in buildings can have different levels. Various factors play a role here. The concentration can itself have a significant influence on the indoor air quality. An optimization of ventilation behaviour is generally required, particularly in rooms where many people are active. Unpleasant odours are an indication that the CO₂ concentration is too high. This may lead to headaches and discomfort. 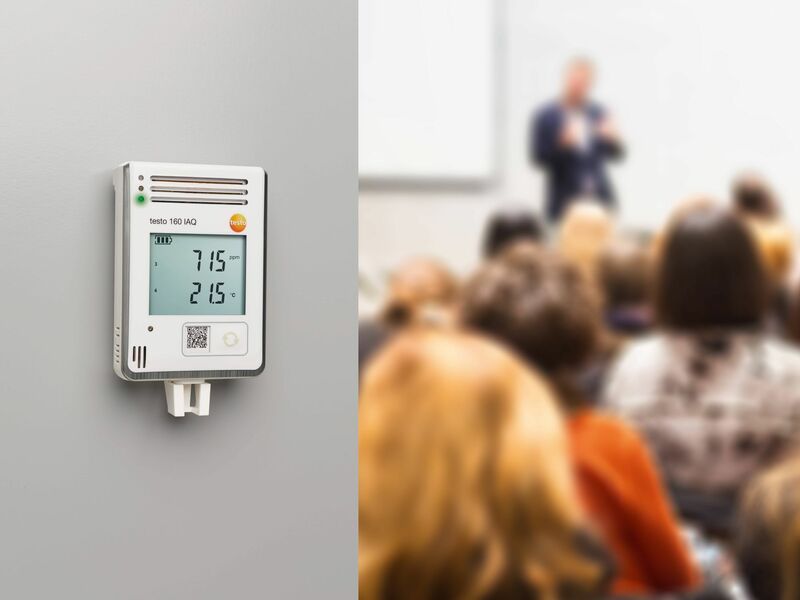 A CO₂ logger makes it possible to get an overview of the level of concentration. This enables a better evaluation of where an adjustment of ventilation behaviour is still possible. However, it is not only in living and working areas that the concentration of CO₂ is a necessary measurement parameter. CO₂ data loggers are also used in industrial and agricultural systems. 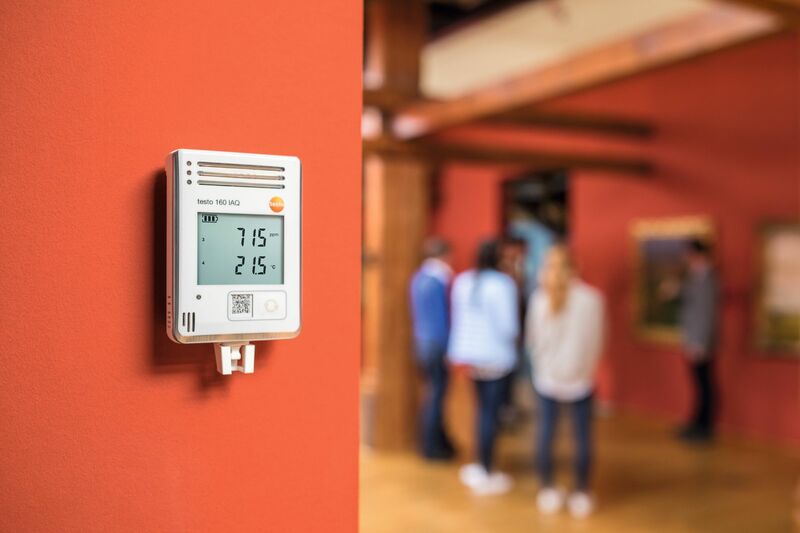 So, a data logger allows pressure to be taken off system monitoring, because the measurement results enable faster adjustment of the ventilation. In some cases, it is necessary not just to carry out a natural air exchange, but to use injections in the form of tracer gas. It is all the more important to be able to use a CO₂ data logger to assess when the addition of injections is required. Analysis of the measurement results should be carried out as regularly as possible. Nevertheless, it is important for you to be able to respond quickly, especially when measuring CO₂ values. A good data logger has a visual and acoustic prompt when the standard values are exceeded. You can input the standard values yourself and thus determine what concentration should not be exceeded. Another point when purchasing is data storage. It may of course be the case that the instrument has no more mains power or rechargeable battery. It is annoying if data are lost in these circumstances, and it may lead to long-term problems. Integrated data storage, even if there is a power outage, is therefore recommended. 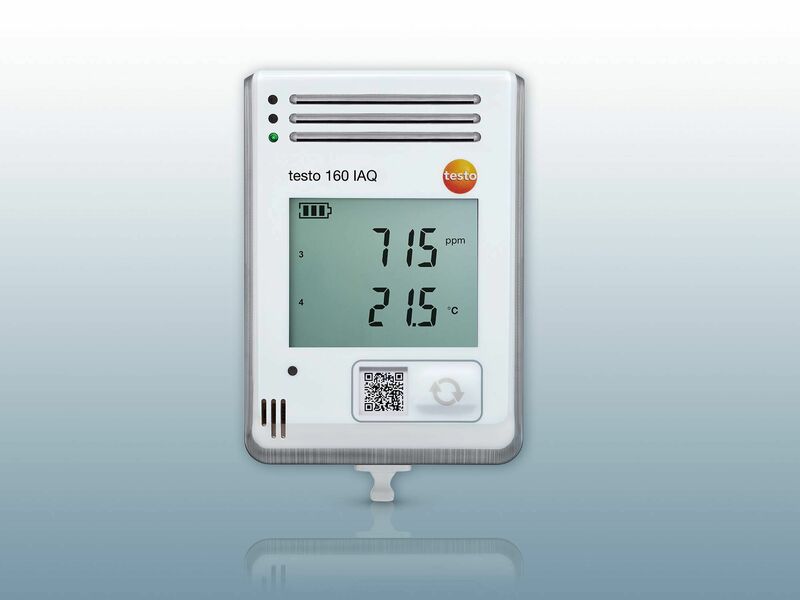 The CO₂ data logger is used in different areas for CO₂ recording. The recording itself is particularly important for you, in order to enable an effective and long-term analysis of the gas values. In some cases, it may be helpful to make use of a data monitoring system. The system passes the data on to a PC or smartphone. A connection to an acoustic alarm is also possible here. 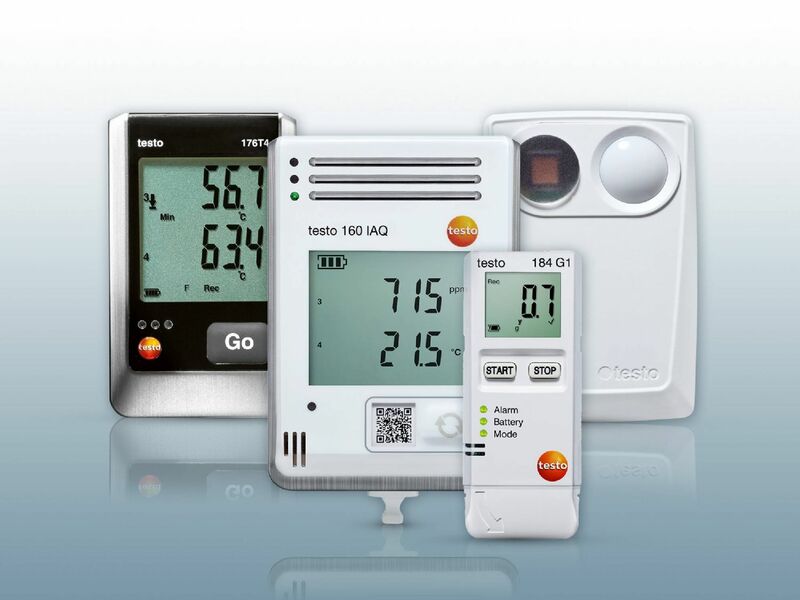 With a Testo CO₂ data logger, you get an instrument which enables optimal use thanks to its easy handling. The professional measurements make it possible to get a very good overview of the gas exposure. Combining the data logger for CO₂ with further instruments is also recommended in order to ensure optimum ambient conditions. You can therefore use a data logger for temperature or a data logger for temperature and humidity. In some cases, the CO₂ measuring instruments are already provided with an additional temperature measurement facility. If there is also a need to get an overview of the UV values, investing in a UV data logger may be worthwhile. For areas involving movement, such as transport, a shock data logger can also provide important measurement data. 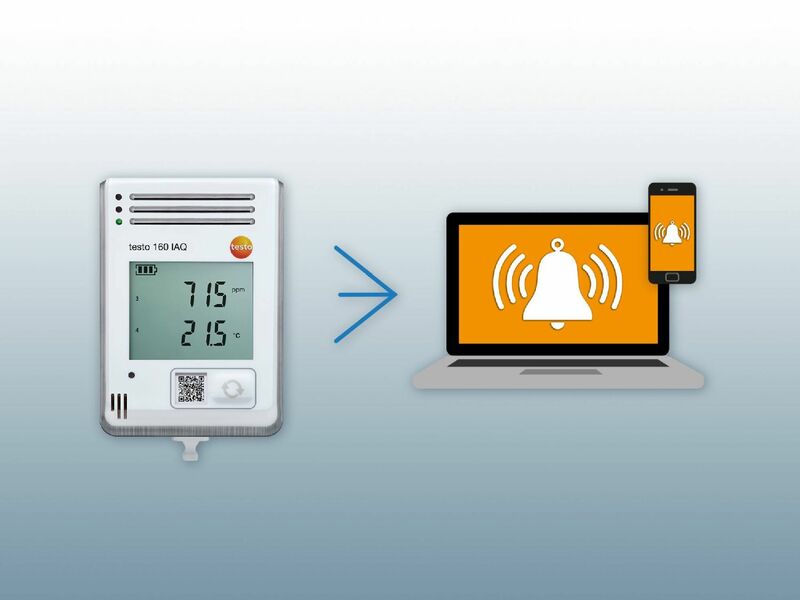 When it comes to data loggers for CO₂ measurement, there are instruments which are equipped with WiFi. WiFi data loggers have the advantage of making it even easier to monitor values. It is helpful, especially when monitoring several areas or large sectors, if the logger can transmit the values via wireless LAN to another terminal device.